A human being consists of a mammalian component and a multiplicity of microbes, collectively referred to as the "microbiota" or "microbiome," with which it has a symbiotic relationship. The microbiota is comprised of a variety of communities, the composition of each being dependent on the body site it inhabits. This community variation arises because the numerous locations on a human being provide very different environments, each of which favors the establishment of a distinct microbial community. Each community consists of bacteria, fungi and viruses with, in some cases, archaea and/or protozoa. It is increasingly being recognized that the indigenous microbiota plays an important role in maintaining the health of its human host. However, changes in the overall composition of a microbial community at a body site, or an increase in the proportion of a particular species in that community, can result in disease or other adverse consequences for the host. 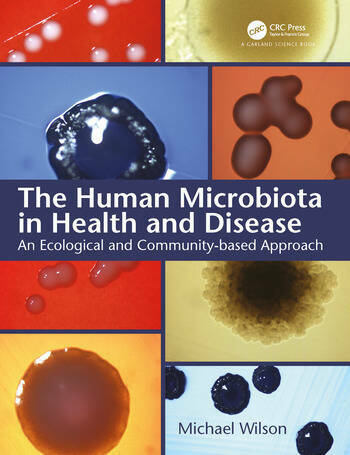 The Human Microbiota in Health and Disease: An Ecological and Community-Based Approach describes the nature of the various communities inhabiting humans as well as the important roles they play in human health and disease. It discusses techniques used to determine microbial community composition and features a chapter devoted to the many factors that underlie this mammalian–microbe symbiosis. Uniquely, the book adopts an ecological approach to examining the microbial community’s composition at a particular body site and why certain factors can shift a community from a eubiotic to a dysbiotic state. 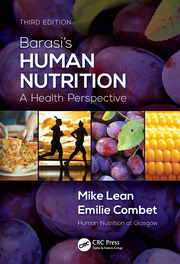 The book is for undergraduates and postgraduates on courses with a module on the indigenous microbiota of humans. It will also be useful to scientists, clinicians, and others seeking information on the human microbiota and its role in health and disease. 10. Microbial Community Disruption—A Role in Other Human Diseases? 11. The Indigenous Microbiota of Humans—Where Are We Now and Where Should We Be Going? Professor Michael Wilson is emeritus Professor of Microbiology at University College London (UCL), where he has worked since 1983. 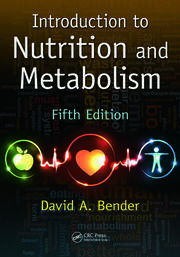 He has taught students on Bachelor and Master’s courses in microbiology covering many aspects of the subject, including the human microbiota, infectious diseases, bacterial pathogenesis, microbial biofilms, infection control, and antimicrobial chemotherapy. He also actively engaged in research at UCL, and in recognition of his research achievements, he was awarded a DSc in 1999 by the National University of Ireland and in 2011 was appointed Chevalier dans l’Ordre des Palmes Académiques by the French Minister of National Education. His main research interests are the indigenous microbiota of humans, biofilms, bacterial pathogenesis, antibiotic resistance, and the development of new antimicrobial strategies. He has a great interest in translational research and has applied for 13 patents for inventions in the fields of light-activated antimicrobial agents and water purification. In 1990 he received the National Westminster/British Petroleum Innovation Award and in 1991 the Toshiba "Invention of the Year" Award for inventing a low-technology method of sterilizing water for use in developing countries. 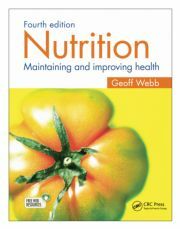 He has published 334 peer-reviewed scientific papers, 238 conference abstracts, and 11 books, one of which, Bacteriology of Humans: An Ecological Perspective, was awarded the first prize in the Royal Society of Medicine and Society of Authors Medical Book Awards in 2008. He has supervised the research projects of 35 PhD students and 46 MSc students. He is also enthusiastic about communicating the results of his research to the general public. Consequently, he has organised exhibitions for, and given talks to, the public on a number of topics including the human microbiota, antibiotic resistance, and light-activated antimicrobial agents.